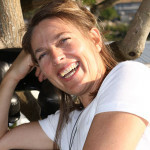 Mania has been practicing in the wellness field for more than 10 years, not only as a Body Practitioner in Rebalancing, but also specializes in other therapy modules such as Prank healing. Meridian therapy, Crystal healing. Reflexology & Meditation. She facilitates a variety of wellness workshops, and teaches holistic bodywork massage at the BP Wellness Centre, simultaneously promoting 'Holistic Empowerment the Corporate & the Film industry. Marita was born in Namibia from a German background, and thoroughly enjoys people who have a committed interest in wellness. She supports & inspires her clients in achieving their 'well-being goals' by recommending other regular practices such as Yoga, Pilates, Qi Gong, sound, relaxation techniques and a balanced diet. Unhealthy lifestyle habits do not feed the soul, instead sabotages the body due to a lack of love for oneself and reinforcing negative cycles by not empowering oneself positively & enabling one from creating & sustaining consistent awareness in consciousness on all levels (i.e. body, mind and spirit). It is therefore vital to choose a correct lifestyle BALANCE.